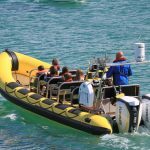 a fishing trip on Demelza or a trip to Godrevy Lighthouse and seal island to spot the local wildlife, St Ives Boat Rides has the lot. 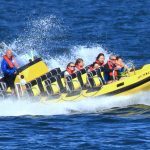 If speed is your thing then the Rib Ride offers a fantastic adrenalin fuelled trip around St Ives Bay for the speed lovers. 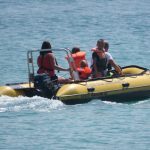 The 30 minute ride can accommodate up to 12 passengers (age 5+) with fully qualified staff and top of the range self-inflating life jackets. 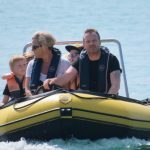 Rides are £16 for adults and £14 for kids. 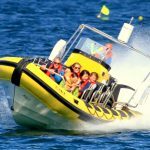 St Ives Self Drive Boat Rentals boasts 12 motor boats varying from Picton Sunsports to Excel Inflatable Ribs. 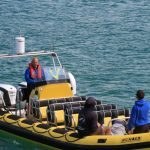 The 5 & 6 seater boats are all kitted out to the highest specifications and have steering wheels in place making for an easy drive for any ability. 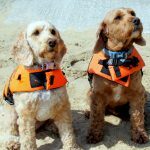 Again life jackets are provided for everyone – even the dog – so you don’t need to leave your pet at home. Self-drive boats can be hired for a few hours for fishing (prices on request). All staff have grown up on the sea and are qualified boatsmen. Discover St Ives from the sea and enjoy the fantastic views and breath-taking scenery, paddling at your own pace. 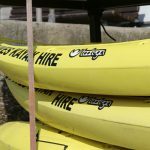 Hire a kayak single or doubles or paddle boards – different sizes available. 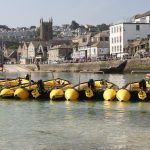 You can paddle around the Harbour and a great way to explore the stunning scenery of St. Ives Harbour. On your trip to Godrevy Lighthouse which is on the Eastern Side of St Ives Bay you will pass the beautiful three mile stretch of golden sands at Hayle. Godrevy Lighthouse, which was built on the largest rock of Stones reef in 1858 is also very popular with the grey atlantic seals so don’t forget you camera as there will be no doubt a few sun-bathing in the lighthouse grounds. On your trip to Seal Island you will cruise along the Cornish coast taking in the natural views and passing our beautiful golden beaches. Watch out for our resident sea life such as dolphins, basking sharks, sun fish and seals all which are regularly sighted on a daily basis before reaching Seal Island the home of the Grey Atlantic Seals. You must be <a href="http://www.lovingstives.co.uk/wp-login.php?redirect_to=http%3A%2F%2Fwww.lovingstives.co.uk%2Fst-ives-boat-rides%2F">logged in</a> to post a comment.